We hosted Thanksgiving at our home for the first time in many years. 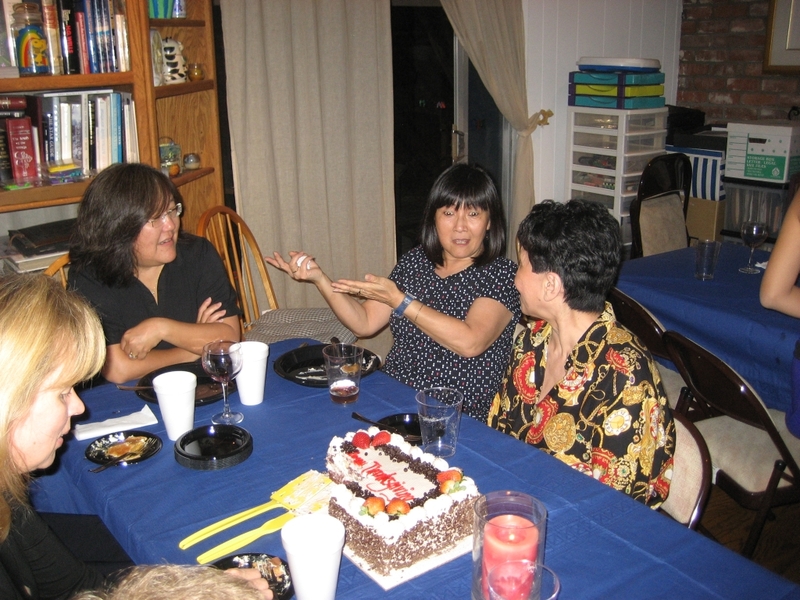 For the past few years, Iris’ niece, Jennifer, had been hosting it, but this year, Jennifer and her husband, Edward, were in London over the Thanksgiving week. It was going to be a challenge, because our oven can’t accommodate anything very tall, like a turkey. 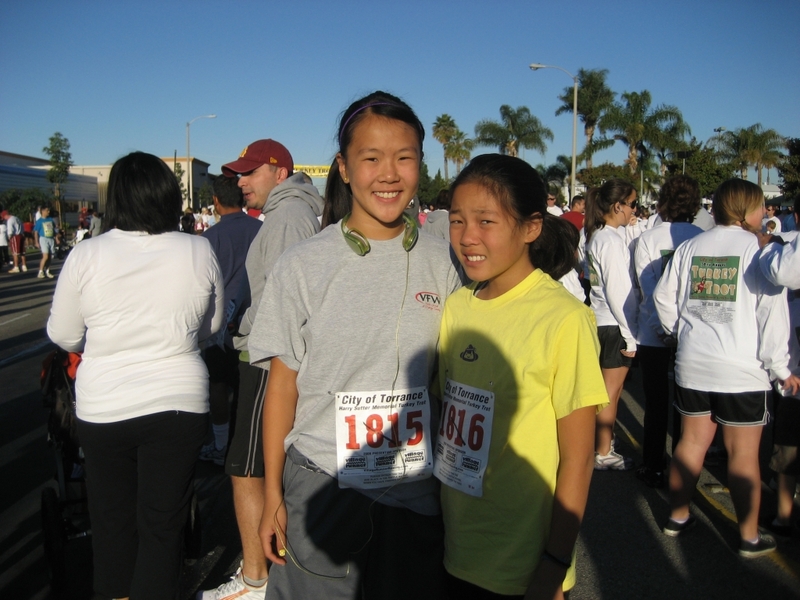 Early Thanksgiving morning, Ron and the two girls ran in the Torrance Turkey Trot, a 3-mile run over by the Torrance Airport. Ron has run this race a couple of times before with Paula, and this is the first time the girls ran it. Stephanie ran in 28 minutes, Ron finished at 35 minutes, and Morgan came in at 54 minutes. We had 16 people over for Thanksgiving dinner: Iris’ mom, Sue; Iris’ brother, Scott, and his son, Casey; Scott’s ex-wife (and Casey’s mom), Julie; Julie’s mom, Joyce; Julie’s cousin; Ron’s friend, Paula, and her three children, Niklas, Oliver, and Eliisa; and our new friend, Grace, and her daughter, Ava. There was tons of food. We got a turkey and ham from Honey Baked, and Iris made garlic mashed potatoes, green bean casserole, stuffing, homemade cranberry sauce, and baked yams. Paula brought a fruit salad, and we had LOTS of desserts, including a quarter-sheet chocolate cake with banana filling brought by Julie’s cousin.